This beautiful entrepreneur and fabulous mama is chatting with us today about how she left her full time job in the medical field to follow her dream of making leather accessories. 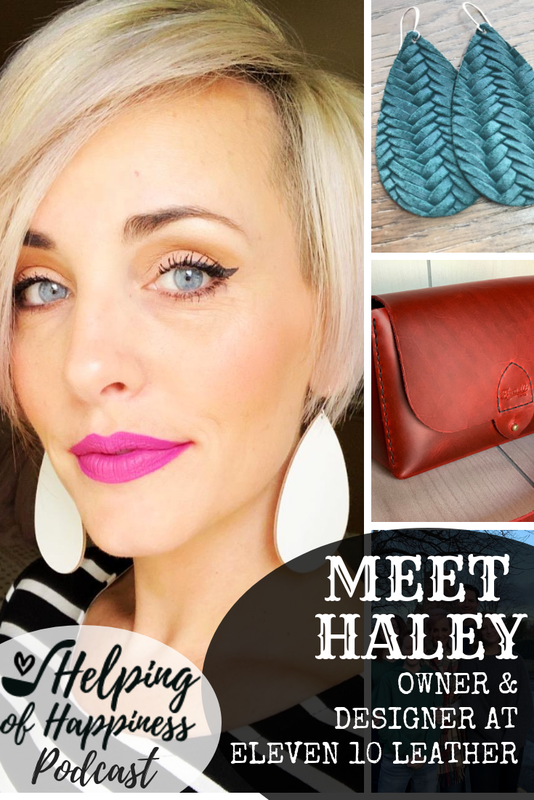 Haley Young is the owner and creator of Eleven10 Leather. She is a mother of 3, a super hard worker and such a lovely person. Listen to our chat about how she got where she is now. You can also listen through Castbox, Stitcher and Apple Podcasts.